There’s a line from the Chris Farley comedy “Tommy Boy” that has woven its way into our cultural vernacular. It comes after his friend Richard whacks him with a bat. Before Tommy passes out, he goes a little cross-eyed and says matter-of-factly, “That’s gonna leave a mark,” then crumples to the ground. Even before there’s any bruising or swelling, Tommy already knows what’s to come. The same can be said for victims of domestic violence and physically abusive relationships; they begin to recognize certain patterns in behavior and attitude that are precursors to violence. Sometimes that knowledge can help them defuse a situation; many times it can’t. And when the violence begins, there’s no stopping what’s to come. But what about when the abuse doesn’t leave a mark or a bruise? When the violence doesn’t come from a clenched fist but, instead, from between clenched teeth in words that berate, belittle and defeat the victim from the inside. While they may not leave any visible bruising, the marks left on the victim’s psyche wound just as deeply. And when children are involved — whether directly or indirectly — they often carry those marks into their own lives as they come to define themselves, their choice in friends and how they handle their future relationships. As parents, we have a dual responsibility to our children. The first is to encourage and support them to become their own person by being a sounding board for their ideas, a confidant for their wishes and a consistent enforcer of the rules that help guide them. Secondly — and by that, I only mean the second side of the same coin — we must be the example of what it means to value, respect and appreciate those who we say we love. Notice I said “those who we say we love.” Plenty of abusers profess their love as well as deep regret after extreme physical and verbal abuse to those who they say they love. For victims of abuse, this unpredictability becomes another means of control by their abuser, who can then dispense feelings of guilt should their victim hesitate to forgive. In most cases, forgiveness becomes nothing more than a welcome, albeit temporary, reprieve in an endless cycle of abuse. For children, seeing this sends a dangerous mixed message: Love goes hand-in-hand with violence, indifference and the need to dominate or control those who you say you love. That’s why our second responsibility as parents — being an example of what it means to value, respect and appreciate those who we say we love — is anything but secondary. It means not just saying the right words, but also showing that we care by demonstrating our support and commitment to those we say we love through our actions — none of which should ever include verbal or physical violence. Doing that is the only way to truly leave the kind of mark that will end the cycle of abuse. 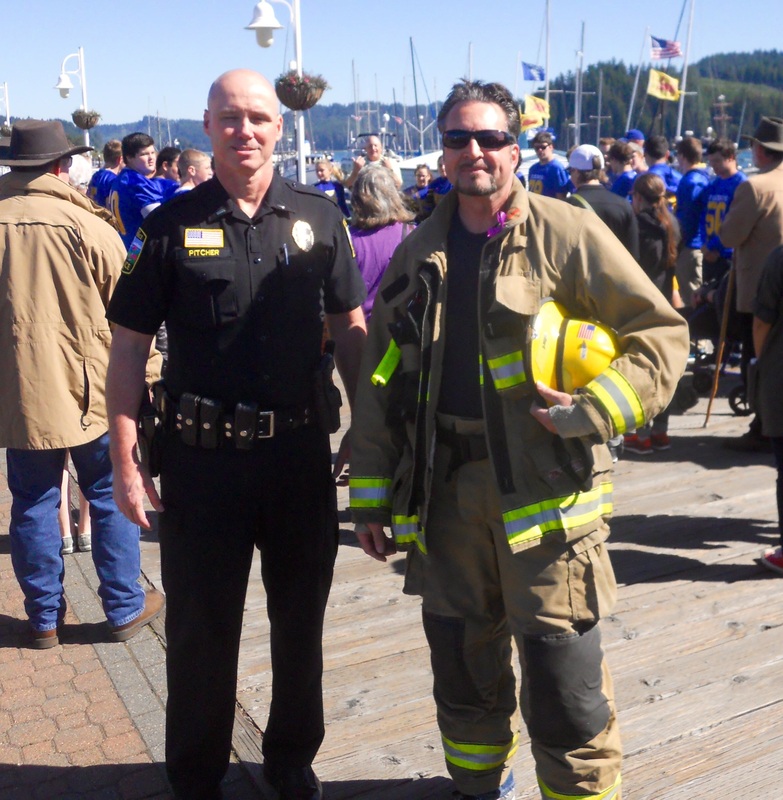 Representing my fellow volunteers at Siuslaw Valley Fire and Rescue, I joined Siuslaw Outreach Services’ executive director David Wiegan, assistant football coach Bob Teter and his team walking in support of victims of abuse and the importance of awareness. Unfortunately, domestic abuse resides in every community, no matter its size — much like it’s victims. 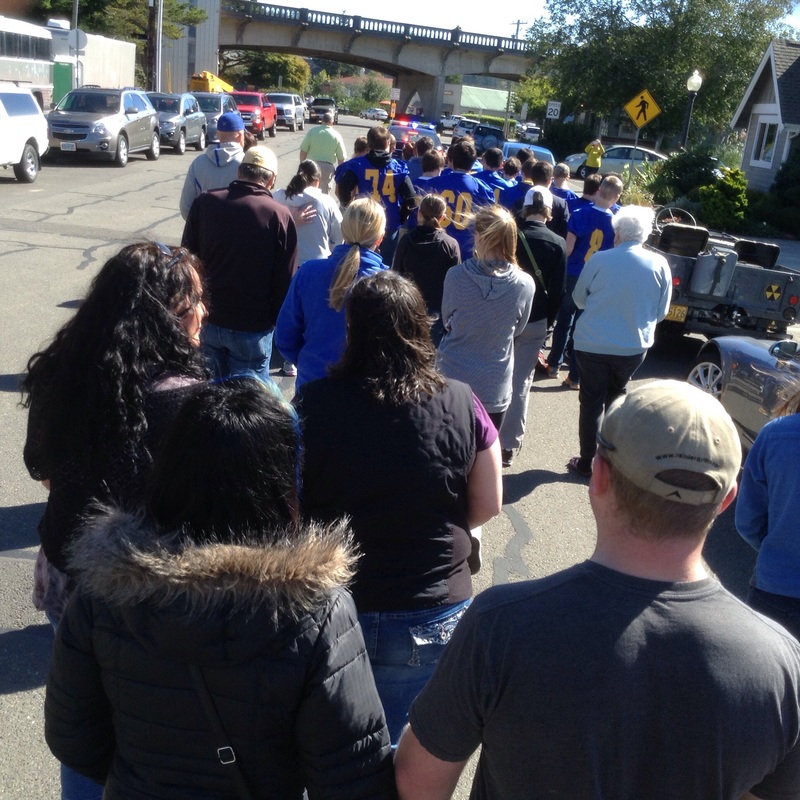 Like these folks in my community, please show support in your own community for those who need it most. With Lt. John Pitcher at this year’s march. We may not agree on what’s better, donuts or 5-alarm chili, but ending domestic violence is definitely common ground. When October is over, and the spotlight is no longer on raising awareness of domestic violence, please continue to show your support for its victims and the need for awareness — of its consequences as well as where to get help. Here is an argument that is very very unpopular Ned. (You may even moderate this out, not sure). Many Christians complain about the misogynistic nature of Islam -that women are officially considered by Sharia law as being property and second class citizens(as far as rights are concerned). The truth of the matter is that Christian women in our “free” North American society, are more likely to suffer violence and/or murder by family members than Islamic women. This is the elephant under the table in our society Ned and until we are willing to look it directly in the eye and take ownership of it, we will not be able to change those statistics. Thank you so very much for this post Ned -it is critical that this problem be brought to the forefront of social awareness. Thank you, Paul. The statistics are truly staggering, and regardless of what country you’re from, or your religious beliefs or culture, the fact of the matter is that domestic abuse is a problem everywhere. And not just for women. There are so many forms of abuse that no one is immune. The problem rests within society in general. Until we are willing to change our world culture of needing to dominate and control others toshow our power and success, abuse will continue. Everywhere. This is amazingly apropos this morning. I live under a rock most of the time, and so I didn’t realize that this month was an awareness month for domestic violence. Nevertheless, I was working on something I wanted to blog about that is related. There are many forms of abuse, not just the beatings that the general public associates with domestic violence. I experienced a very controlling man in my first marriage, who didn’t want me working outside the home, never let me go anywhere without the kids, and would question my request for $20. He didn’t like other men around me, and so alienated me from that whole gender. He made it very difficult for family to come over to visit – they always had to call first. He was verbally abusive – the list of names he called me (and in front of the children) was endless. I was always anxious about getting home when I knew he was there waiting. And then the day came when he punched me in the mouth. I suppose it wasn’t too hard, since I know he could’ve knocked my teeth out and I “only” had a fat lip – but I was holding our 3 year old daughter at the time and that was the end for me. There were many times he’d say, “I wanna punch you in the mouth,” though the number of times he actually hit me I can count on one hand. The point is, I knew well enough that this was not going to get better, had the potential to get worse, and I needed to find a way to get out. Awareness is so important because even the victims don’t always know what defines abuse, and people need to understand how prevalent these forms of abuse are – especially those that don’t leave visible bruises. As I read the first paragraph of your comment, Tara, I found myself nodding my head and thinking of my mother, who experienced much of the same from my father — which I witnessed and experienced as well. The constant verbal degradation, isolation and questioning my mother experienced was all a form of control by my father, who at his core was very insecure. When it stopped working on her, he turned to me. Like you, she eventually left and came to get me when she got settled. I can’t fathom a man hitting his wife for any reason, but while she is holding their child? Reprehensible. I’m so very glad to hear you left that toxic relationship — for yourself and your child. It’s important that those who have experienced abuse, and made the necessarry changes in their life to get out of their situation, speak out. That kind of encouragement and support changes lives. What I often think about today is the impact those actions had on my children – what of it will they take away? That is another dimension to domestic violence that also needs to be addressed. I left him 5 years ago, when my daughter was 5 and my son, 10. While I’m sure those wounds will always be there, Tara, you also did someething that was perhaps even more important: You showed them what it means to NOT tolerate abuse. You are a strong example for both of your children of someone who took the steps necessary to stop being a victim. That is the most important — and lasting — impact you will have given them. Thank you Ned. I truly believe that. Thank you. Life is not perfect, but it is great. I’m so much better for it, and so are my kids. “And when children are involved — whether directly or indirectly — they often carry those marks into their own lives as they come to define themselves, their choice in friends and how they handle their future relationships.” I beg to differ on only one point. They don’t often carry these marks, they ALWAYS carry marks. No exceptions. The ways being raised in an abusive home affects how we create our core beliefs happens when we are young, VERY young. And because of that, they are deeply embedded in our psyches, our subconscious. These core beliefs inform how we make decisions in our lives every single day. It was very interesting for me to go deep into my subconscious mind and visit a time when I was probably 2 or 3 years old and I first, very consciously sublimated my will and power to my mother (knowing that I completely gave away my power to her) in the hopes that if I behaved the way she wanted me to behave, she would stay calm and wouldn’t go off on me again (verbally assault me). We do these things to survive, and carry them unknowingly into adulthood. We, as very young children) assume responsibility for causing the adults in our lives to act out, go off, explode, etc. (At that age, we don’t know that if a person gets upset or mad it’s because of what’s going on inside of them- it’s not our fault). Until we can heal these old beliefs, they will continue to drive our behavior and affect our lives. Thank you for all your humor and even for posts like this that bring me to tears. You are so very right, M2M. The impact of abuse at a young age — physical or verbal — becomes part of how we define ourselves and how we see the world. Period. And while we may adopt coping mechanisms, in the end they are there because of those same marks from childhood. It sounds like your relationship with your mother was much like mine and my fathers. Until the day he hit me for the last time. I was 11 or 12 and I took him down to the floor. I realized I was on a path of turning into him. I left the next day and moved in with my mom. I had lived with her before but felt bad for my father. I never felt bad for him again after that. Ultimately, it’s people talking to others about abuse — recognizing it and getting out of it — that raises awareness, which is so crucial. Thank you for sharing yourself here, and for ending the cycle of abuse in your life. Thank YOU for ending the cycle of abuse in your family. I see that I was continuing the verbal abuse on my son when he was a toddler. But it all totally and completely ended for good after a healing miracle https://mariner2mother.wordpress.com/2012/05/06/anatomy-of-a-miracle/ . Very powerful stuff. I just finished reading your post. Wow… What a gift. Understanding the “why” of abuse is the most effective way to ensure it ends with you. Wonderful, well-needed post. I can attest to the hurtful resonance of mental and verbal abuse. After five-and-a-half years of it, I finally, at the age of 25, was divorced. Abusers are sometimes charming and entertaining, and no one outside of the abused knows the truth. That is so, so true. My father was very charming in publc and well-liked. But his silver tongue could just as quickly be used to wound as be witty. It made talking about his abuse nearly impossible. I am so glad you recognized the situation and took action to end it. It takes a strong will and an even stronger conviction when those around you don’t necessarily understand your reasons. Good for you, my dear. Thank you. I was nineteen years old when I was subjected to that kind of abuse, but you were a child raised with it and unable to escape, and that was much worse. You managed to rise about it all nobly and with a sense of humor, and that gets my applause. The picture alone moved me to tears as this was my childhood. Thank you for blogging and bringing awareness to this. You nailed it and I know it can’t be easy for you to write about either. Aha! Sounds like typical kids. Forgive the grammar mistake above. I never see them until after the fact. Sigh. This is AmaZinG and so are you! The more I read your stuff, the more I love what you do! You are truly an inspiration!!!!!! Thank you. Great post!!! It rings true. It’s good you are sharing this and talking about it. Talking is very important. People are aware of domestic violence, it’s acknowledging it that is the problem. It’s still a “not my problem” problem. And not only does society’s tolerance need a major attitude adjustment, but the family court system needs a major overhaul to deal with it. Oftentimes it doesn’t matter what we do to protect ourselves and our children because that protection is contrary to the demands and requirements of the family court and we and our children end up right back in the grip of our abusers. I agree, the court system and CPS need to be overhauled and updated to reflect our changing society and culture. The systems that are in place are holdovers from the 1950s and 60s, eras that relfect the times about as much as 70s sitcoms do. Courts are “one size fits all” treating abuse triggered separations/divorces exactly the same as non-abuse, “fell out of love” divorces. They need two different management strategies. CPS should be ashamed of itself. They’re more a part of the problem than a solution. Agreed. And I also think that changes need to be made in how the police officers are allowed to approach this. I think their hands are tied in certain circumstances and they don’t have the knowledge and/or the “jurisdiction” to get involved (unless, of course, someone is bleeding, bruised, unconscious). I called the police when my ex shoved me and the gate at the top of the stairs stopped my fall. They came and spoke to him privately, and the end result was that they looked at me like “I” was the liar and told me if they have to come back, “somebody” is going to jail. Really left me feeling wronged. “…we must be the example of what it means to value, respect and appreciate those who we say we love.” An important read. Our childhood’s inform who we become, that’s for damn sure. Some “survive” in spite of them; it is better not to have to “survive” one’s childhood, but to look back on it fondly. Thanks for doing your part! I, too, try to do mine. Yes, “survival” should never be a term used for describing childhood. But for those who do, sharing those stories not only informs and educates, it also often inspires those who need it most to be survivors as well. I tried to be a good parent. It helped that I had a couple of fine role models. None of us are perfect. We do our best and, hopefully, accept our mistakes and learn from them — that in itself is one of the most important things we can show and teach our children. wonderfully said and powerful piece, thank you for this. Thank you, Beth. In light of today’s mass shooting about 3 hours from my town, it seems to weigh even heavier. it does. and it makes me so sad to hear of these events. actually sad doesn’t even cover it. Wonderful post, Ned. Too many people don’t realize that abuse doesn’t need to ever touch the skin to leave wounds. Emotional abuse is just as valid and just as hurtful. Thank you for writing this post. Oye @nedhickson ! I wish I had known about the march beforehand, I would’ve been there as well. Someone can tell you I know all too well all the different forms of abuse first hand and if you read my blog Finding Beauty that I wrote a few weeks ago you will see I still struggle with the tapes that play in my head as an adult! What brought me to tears was the part where you say, “People who SAY they love you”. …. Yeah, there are the tears again. Actions speak WAY louder than words. Real love is a VERY hard choice. Choosing to respect, forgive, not harm, listen, make amends, include, not lie to or about etc.. All action words and forms of real love. Not easy, very much a choice, and most certainly worth it! When we choose to treat others kindly, no matter the relationship, it builds the other person up and can heal those places that have been torn apart by the horrible pasts that some of us have and in turn breaks the horrible ugly cycle of abuse. I guess I’m hoping for more than just an awareness here. I’m praying for action. Loving action. That’s the only way things will ever change. Anything less than that is allowing the devil to play in the sandbox of our lives and I think it’s time to tell him recess is OVER! You know? There is nothing more rewarding, nor important, than loving someone with your actions — not just words. When “love” comes with conditions, it’s time to forget negotiations and move on. Continue to heal. You are worth it, and so are those who will receive your love — now and in the future. You’re so right about the unpredictability of the abuser being one of the hardest parts to live with. It changes who you are, trying to predict the moods, what will be misinterpreted. You become so careful, suppressing who you are in the hope of a quieter life. You stated that so perfectly. Conforming yourself to the will of another isn’t living. That kind of volatility doesn’t belong in anyone’s life. A mark that’s invisible can still be indelible, yet the invisibility makes it hard for victims to come forward. Posts like this are so important for awareness raising. Thanks, Karen — and you’re so very right about what goes sight-unseen also tends to go unheard. You speak an important message, Ned. Unfortunately, the older I get, the more I see the evidence of ‘marks.’ Marks that color present and future relationships, self-esteem, and well-being. I can’t tell you how much I appreciate that, Michelle, and having the chance to speak from the heart to people like you who I know make a difference in the lives of others. You’re a good man, Ned Hickson. I’ve seen victims of domestic violence up close, both at work and professionally. Nothing repulses me more than the thought of someone raising a hand in violence towards a woman or child. Keep fighting the good fight, buddy. Great post. And thank you. You are much appreciated, Robert. This was such a heartfelt piece of writing. It’s so nice to see this kind of advocacy coming from so many different people. It reminds survivors that we are not alone, and that other people really can see the abuse and want to stop it. One of the primary psychological scars that survivors carry is a sense of alienation from themselves and the rest of the world. More than welcome, Robert— and yes, it came from a place in the distant past. I thought so. That’s the emotional power of good writing. Spot on. Very well said. You are so right stretching the importance of our behavior. Words and action can do as much damage as physical action. Something that a lot of people need to understand as well. Thank you so much. The old “Sticks and Stones” adage just doesn’t ring true, particularly when it comes to verbal abuse. 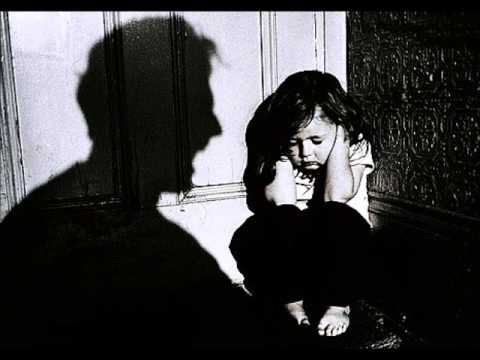 Even when you aren’t the intended victim, as a child overhearing the abuse it’s no different then second-hand smoke; eventually, it can kill your soul. I came to read this post through Roberts reblog on his blog “Art by Rob Goldstein” and I am reblogging it too. The reason is that domestic violence is more widely spread than most people might believe. Powerful message, Ned!! Too many people still feel that if there are no bruises, it was not abuse. They are so wrong. The damage is done internally and affects the lives of all of it’s victims. Too many of our youth head down paths of brokenness from the words spoken in their lives. 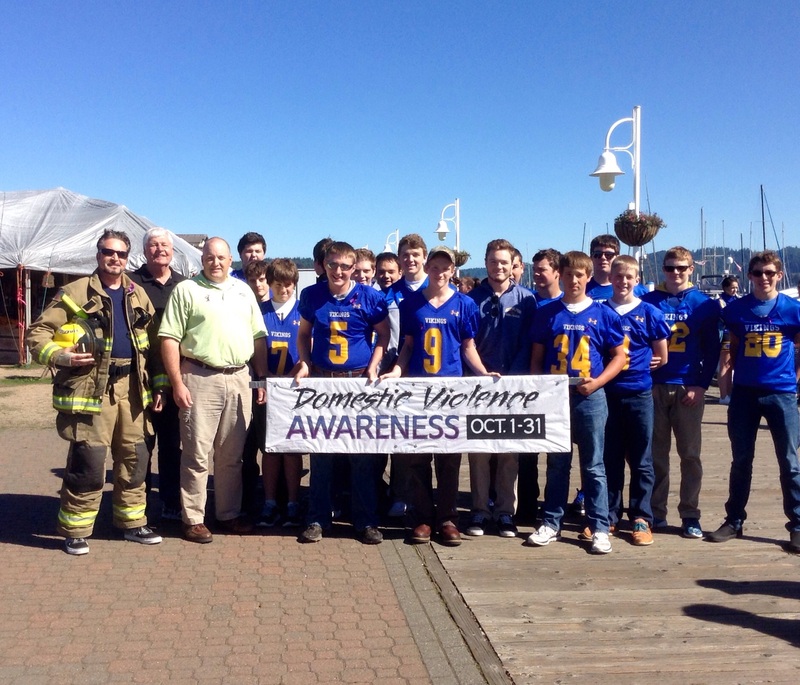 Thanks for sharing this message and bringing more awareness to domestic violence. So true, SA, and thank you for all you do in keeping the conversation open about the realities and consequences of abuse. Thank you Ned… and God bless you!